"does not portray them merely as frightening characters, for the totality of these themes represents a direct transposition from his research on folklore into the literary domain." 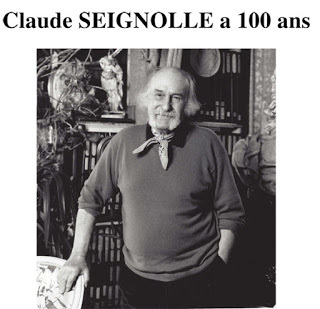 "Seignolle does not write gothic tales simply to intrigue, or even to terrorize, the reader. Above all, he writes in order to revive at the literary level a popular oral tradition in danger of becoming extinct." 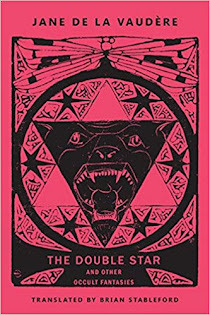 And to me, aside from the fact that his stories are very different from standard gothic/weird/dark/horror fare, the fact that this "popular oral tradition" is on the edge of extinction should merit more publisher/English-reader interest in this man's work. Someone should publish his books and introduce him into the world of dark fiction readers. I know that Ex Occidente Press put out a limited edition of his The Black Cupboard, but sheesh -- a decent copy starts at $200 and I saw one on Amazon for over $800. It's time to put this man's work into print at a price people can actually afford. On to the book now, which was an absolute delight from beginning to end. It's once again a collection of tales that works more beneath the surface than on it, although it is also quite readable for readers who just want to be entertained by the stories. 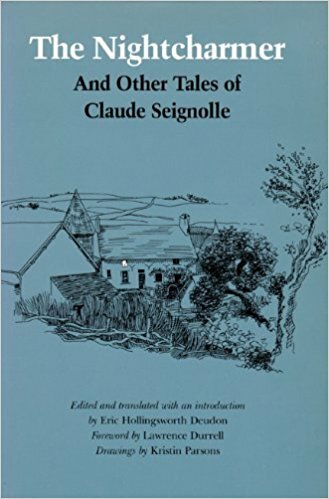 One thing I discovered here is that Seignolle is a master of irony, which adds much more dimension to his tales in a very human sort of way and in more than one case, actually provides room for a bit of very black humor. I can't really explain what I mean without giving things away, but trust me, you'll recognize it when you see it. The collection begins, of course, with "The Nightcharmer," from Seignolle's Les cheveaux de la nuit at autres récits cruels (1967). Here, a man visits the home of an "eccentric zoologist" whose collection of various species of "dusty and docile fauna" takes up twenty rooms in an old manor house. Not only is his home filled but he enjoys sharing his knowledge and memories about all things, including "the mythical creatures that the people of Brenne, dreadfully superstitious, grant to the nights there." One such legend he shares is that of the Nightcharmer. As our visitor is about to discover, there is actually something the zoologist doesn't know. Next comes "A Dog Story," played out in the trenches in October, 1939. As the "Khaki foxes" face "an invisible lumbering pack of green wolves" (I love the animal imagery here, and it will come back later in this book as well), back in the field kitchen, a mangy dog comes to visit the narrator and his friend. As a dog lover myself, I'd advise a strong stomach for this one, since this is no ordinary canine. One more thing: look deep under the surface in this one and the story seriously intensifies. From Comtes de Sologne, 1969, comes "The Healer," in which a man who takes three gold coins for each cure he provides finally meets his match in a most horrific way, as he discovers that he's "accepted a satanic proposition." The next story, which has one of the most ironic twists I've encountered in a long while, is "Starfish," taken from "Contes Fantastiques de Bretagne" 1969. An obviously-wealthy woman takes refuge in old villa in a "small village by the sea" that had been "deserted and abandoned." While the caretaker gets her settled, regaling her with stories from the villa's past, she's mentally elsewhere and could care less. All she can focus on is one thing... No more from me on this one, but oh, that ending! okay, it's from a commercial, but it works. That short tale is followed by the longest story in the book, "The Outlander," running about forty pages long, from Un Corbeau de toutes coleurs, 1962. A stranger shows up at the local inn, pockets filled with gold, and in making smalltalk, the innkeeper manages to discover that the man is a blacksmith by trade, and that he's ready to settle down. The innkeeper tells him that the town already has a blacksmith and that he won't get any business because everyone goes to Christophe. 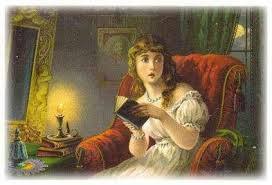 As if on cue, a crowd of people burst in to inform the innkeeper and his wife that Christophe is dead. With the widow ready to sell, the new guy sets up shop, and that is where this story really begins. Let's just say that the original title was called "Le Diable in Sabots" and leave it at that. From Contes Sorciers (1974), the next story is one of my favorites, precisely because of that irony I mentioned earlier. In "The Last Rites," a cuckolded husband prays earnestly to Hubertine, the local saint of "hapless victims of unrequited love," and gets way more than he'd bargained for. Oh my gosh -- this was a good one! Another tale that is laced with irony is "Hitching a Ride," where looking back to a time where he actually saw death, a man remembers the day he was in a rut and decided to pick up a hitchhiker. . He lives to tell the tale, but the question here is why and how. 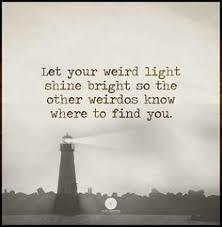 I couldn't help laughing out loud after reading this one; the same was true for "The Last Rites," gruesome as it was. "Night Horses" finishes off this lovely collection, in which a traveler learns the hard way that "The night does not belong to the living" at a small inn in Brittany. His curiosity, as well as his desire to get to his fiancée as quickly as possible, makes him fail to heed the warning, at a huge cost. No humor here, for sure, just good old-fashioned dark storytelling with suspense plus major jolt at the end. I'd love to really get deeper into this book here and dive underneath, but as I always say, to tell is to spoil, so you're on your own. As I said, Seignolle is well deserving of a large audience, and after finishing this book, I bought an old copy of a two-story collection of his work entitled The Accursed. The Nightcharmer and Other Tales is unique, very nicely done and is a beyond-welcome addition to my home library which seems to be taking a French turn here lately. I can recommend it without any qualms whatsoever, although I'm sure for the splatterfest crowd this would be way too mild. It is absolutely perfect for me though, and for those who enjoy their dark fiction more on the cerebral side, it is not to be missed. I find myself in complete agreement with George A. Vanderburgh and Robert Weinberg who say that the tales in this book "might not be great literature, but they don't pretend to be." They also remark that the stories found here are "good fun" which is absolutely the case. 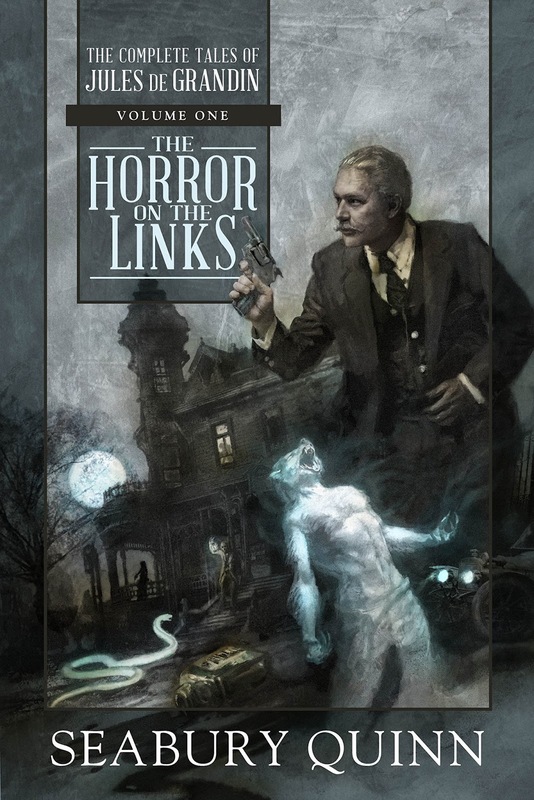 The Horror on the Links is the first book in a proposed five-volume set, and if the remaining four installments are even half as much fun as this one, then I'm in for a seriously good time. Let's just say that I enjoyed this series opener so much that I already have volume two, and I've pre-ordered volume three which is supposed to be out in March. I love good old pulp fiction, I love occult-detective stories, and I love weird tales, so I'm absolutely in my element here. Ahhhhhhh. Vanderburg and Weinberg refer to Jules de Grandin as "the occult Hercule Poirot," and it's really difficult not to make the comparison while reading. They also say that he shares "more than a passing resemblance" to Sherlock Holmes, with a "Dr. Watson-like sidekick, Dr. Trowbridge. As a detective who sees himself as "a scientist; no more", Grandin is not at all quick to dismiss the possibility that there may be more going on than science can explain. As he notes in "The Poltergeist,"
"There is nothing in the world, or out of it, which is supernatural, my friend; the wisest man today can not say where the powers and possibilities of nature begin or end. We say 'Thus and so is beyond the bounds of our experience' but does that therefore but it beyond the bounds of nature? I think not. Myself, I have seen such things as no man can hear me relate without calling me a liar..."
And indeed, in the scope of the twenty-three stories included here ranging (in order of publication in Weird Tales) from 1925 to 1928, some of the answers to these puzzling tales are definitely of this world while some are to be found in the darker realm of the occult. 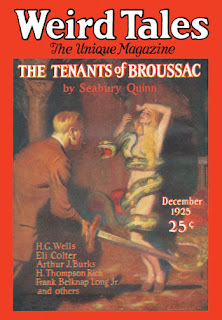 The real-world solutions are actually far more frightening than the supernatural ones, for example, after "The White Lady of the Orphanage" (September 1927), I had to put the book down for a while, and I posted somewhere that this was one of the most gruesome stories I'd ever encountered. Eek and Ick. My personal favorite is "The Isle of Missing Ships," which is a straight-up pulp fiction story with no foot in the occult world; it is also the only one that does not follow the formula/pattern by which a solution is discovered which is found in all of the other entries in this volume; and then there's "The Chapel of Mystic Horror," because who in their right mind can pass up a story about an old abbey transported from Europe to America, former home of the Knights Templar? I'll reveal the table of contents below, without annotation -- to tell is to spoil and I don't want to do that. My advice: sit back, relax, and enjoy these wonderful weird tales of yesteryear and appreciate them for what they are -- delicious pulpy goodness. My hat is off to the team of Vanderburgh and Weinberg for making these old stories available once again -- I had the time of my life reading this book, and I can't wait to get to Volume two! 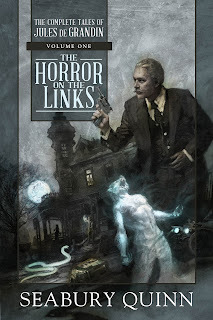 "The Horror on the Links"
"The Isle of Missing Ships"
"The Man Who Cast No Shadow"
"The Curse of Everard Maundy"
"The White Lady of the Orphanage"
"The Gods of East and West"
"The Jewel of Seven Stones"
"The Chapel of Mystic Horror"